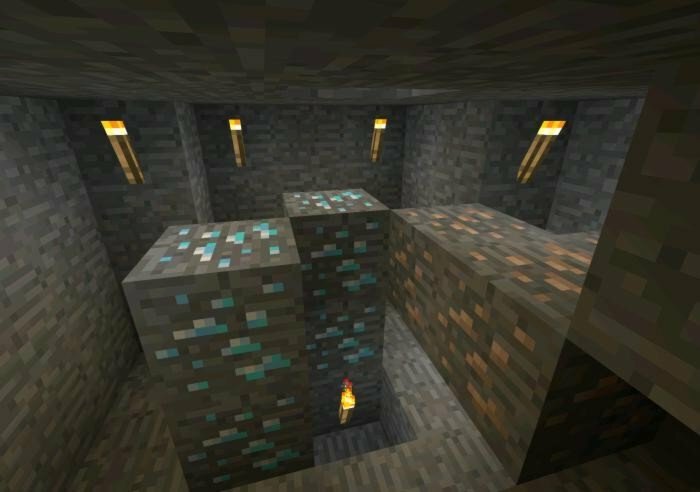 Diamonds are the most powerful resource in Minecraft and everyone wants to get them - so it's cool when they are near the spawn. Just under the spawn you will find four diamonds, which is enough to craft a two swords or a diamond pickaxe. To find the diamonds: Dig straight down until you drop into a cave with some water. Place some blocks around you to remove the water and then continue to dig until you find the diamonds.